Bird groups were everywhere in 1955. The Wrens joined the flock with their Come Back My Love for George Goldner's New York-based Rama label. It still flies high as a genuine R&B vocal group classic. 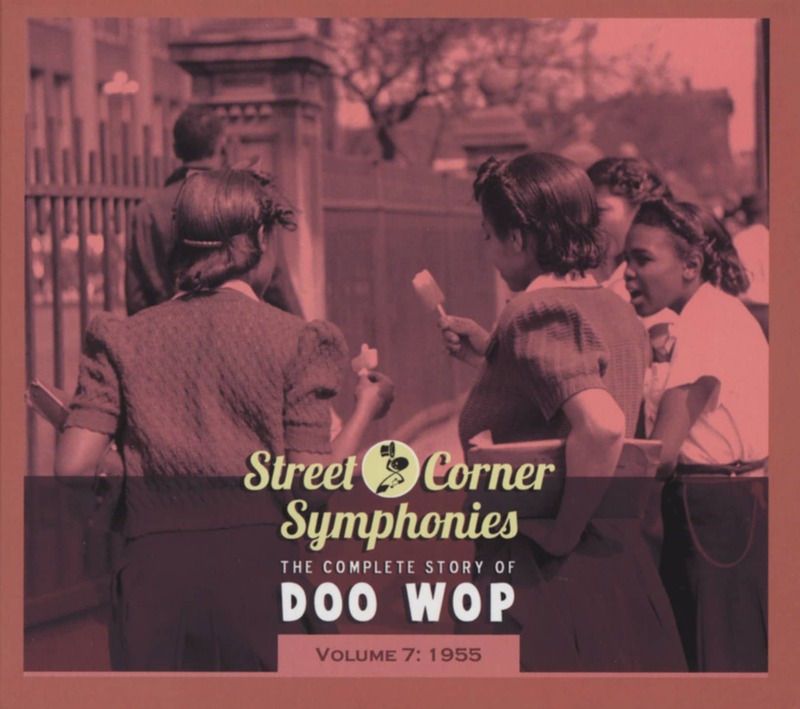 The group hailed from the Morrisania section of New York's Bronx, forming in 1950 with tenor Francis 'Frenchie' Concepcion and three other youths. 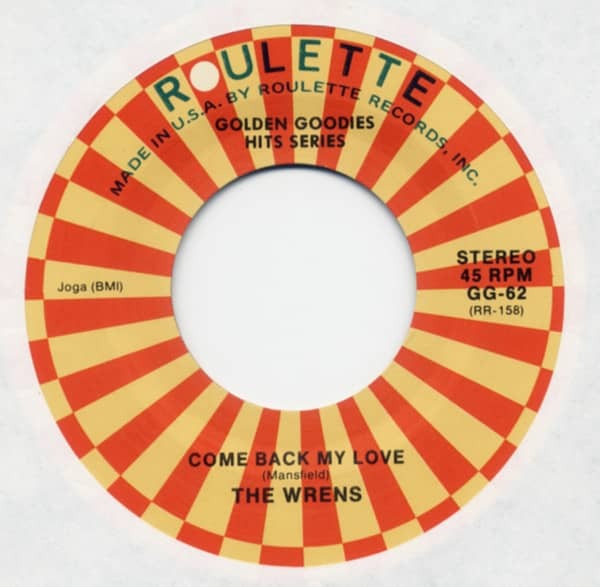 That edition faded away after a couple of years, but Frenchie tracked down tenor George Magnezid, bass James Archer, and lead tenor Bobby Mansfield, 15 years old at the time and attending high school, to relaunch The Wrens. They won a talent contest organized by veteran pianist Freddy Johnson, who became their manager. Goldner caught one of the group's rehearsals and signed them to Rama. At The Wrens' first session on November 21, 1954, they cut four songs. Goldner chose the Mansfield-fronted Love's Something That's Made For Two and a Concepcion-led Beggin' For Love as their debut platter, released before month's end. He held onto the up-tempo Come Back My Love, sung and written by Mansfield, for The Wrens' encore in January of '55, reconstituting Beggin' For Love as the B-side (a February pressing substituted another Mansfield vehicle, Eleven Roses, as the flip). The uncommonly catchy Come Back My Love sold well on the East Coast, even inspiring the better-established Cardinals to cover it for Atlantic. Archer enlisted in the Air Force (his replacement was ex-Sparrow Rocky Washington) prior to The Wrens' second Rama session in October of '55. Mansfield fronted Hey Girl, the only platter released from the date (the sentimental Tin Pan Alley artifact Serenade Of The Bells -- a pop hit for Sammy Kaye -- sat on the other side). Before year's end, The Wrens issued I Won't Come To Your Wedding. Their last Rama single was a Manfield-led cover of Sarah Vaughan's ballad C'est la vie in early 1956 (only Bobby and Magnezid participated; The Valentines filled out the lineup). Sax wildman Jimmy Wright's instrumental version sat on the B-side. Rocky and Frenchie split right around the same time, ending The Wrens' brief existence. Goldner slated a poppish solo Mansfield single on his Gee logo, but the label never followed through with its release. It didn't really matter; Bobby was soon to join the Air Force, though he resumed singing once he donned civilian togs. Archer died in '99, Magnezid passed away in December of 2003. Kundenbewertungen für "Come Back My Love b-w You're An Angel 7inch, 45rpm"